Thanksgiving is a time to be thankful; thankful for our families, thankful for our friends, and thankful for our health. We celebrate friends and family by gathering together, but how do we celebrate our health? It’s definitely not by the overflowing plates of traditional thanksgiving fare. You can, however, celebrate your health in November by partaking in local runs, family games, and as our Ross Township dentist points out, by quitting smoking. Thanksgiving may be only one official day, but our giving of thanks goes beyond a single day. Consider the same for National Smoke-out day. It may only occur once a year like Thanksgiving, but that doesn’t mean it should be forgotten. As a dentist Ross Township patients recommend, choose our team and our teeth whitening services as a step in your quitting process. You may just find that you love your new, white smile too much to continue with bad habits that will damage it. Yellow or stained teeth: the chemicals in cigarettes and tobacco products damage and stain the enamel of your teeth. Gingivitis: smoking changes the normal pH levels of the saliva in your mouth which in turn affects your gum health thus making you more prone to gum disease. Infections: smoking puts you at a higher risk for infections and suppresses your immune system so you have a harder time fighting these infections. Cancer: the toxins that are present in tobacco products have the potential to change the makeup of your cells; altering healthy cells into cells that are at risk for becoming cancerous. Halitosis: smoking increases tooth decay and gum disease by introducing bacteria into your mouth which leads to bad breath. 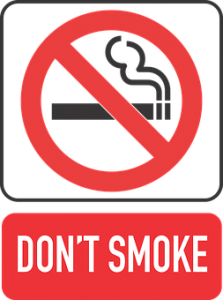 Our Ross Township dentist understands the difficulties that come with quitting smoking. We know it’s a struggle, but in the end, the struggle is worth it. When you quit smoking, you eliminate the risks to your health and you keep your smile looking great. You’re thinking of yourself, your friends, and your family and giving thanks for the life you share together. If you missed the Great American Smoke-out day this year, don’t worry. Start your own day; one in which you begin taking control of your health and moving toward a better you and a better smile. Talk with our staff and Ross Township dentist about the risks associated with smoking and your smile. Let us help you keep your smile looking great while you take the first positive step forward towards a healthier you. Treat yourself to one of our teeth whitening services so that your bright smile can serve as a reminder as to just one of the reasons you’re quitting smoking. Schedule an appointment with us today to get a professional cleaning and oral cancer screening or if you need your teeth whitened. We’re happy to help you commit to your health and look forward to celebrating your oral health with you. Visit our Facebook to learn more ways in which you can improve your health and your smile and reach out to our team if you have any questions.